Tea and coffee are an important part of any guests meal experience. Its extremely important to get the service of this part of the meal correct as its one of the final interactions, other than payment of the bill, that the waiter has with their guest. The sales of tea and coffee are also very important for the bottom line financials. The drinks are relatively inexpensive to produce, however they can add substantially to a restaurants profits. This section will look at the origins of tea and coffee as well as looking at how to prepare and service different types of tea and coffee drinks. Click the following link to access a PDF of a Tea and Coffee Presentation. Coffee is used in a variety of different ways, from its use in culinary cuisine to its infusion with alcohol in the creation of liqueurs to the specialised coffee used making different ingredients. 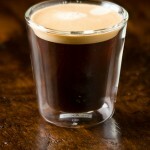 Select the following links to learn more about the Irish coffee and other coffee drinks.